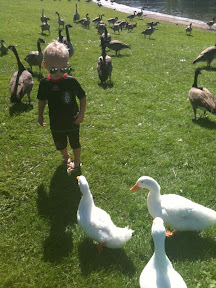 I had to run an errand by Sugarhouse park the other day so we stopped to feed the ducks. 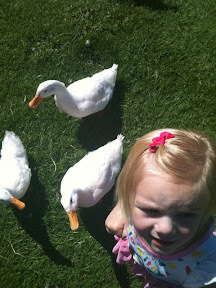 They were pretty friendly ducks. The kids LOVED it. 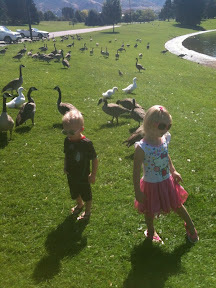 Noble kept saying "feed ducks morrow?"